Solving. Growing. Living. We are Merrick. Merrick Works with Our Clients to Solve Problems. Every challenge requires a unique solution. Merrick works with you to find engineering, architecture, surveying, and geospatial solutions that fit your needs. Whether that’s finding the most cost-effective alternative, using an innovative approach, or choosing the tried-and-true solution. We offer a lot of services. At Merrick, we thrive on collaboration. We work with clients in a true partnership to find the right solution to turn ideas into successes. When partnering with Merrick, you’ll work with a team that you know and trust. In fact, more than 80% of Merrick’s new work is repeat business. For more than 20 years, Merrick has owned and operated a facility at the MillerCoors plant that recycles waste from beer production into ethanol, reducing 150 tons of VOCs and 9,000 tons of wastewater each year. 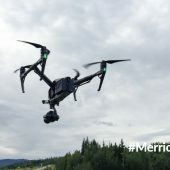 To implement Positive Train Control (PTC) on Chicago’s commuter rail lines, Merrick created an innovative data solution combining LiDAR from both helicopter and truck for continuous elevation and feature data throughout the right-of-way. 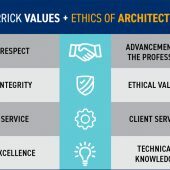 At Merrick, we strive to better our communities, our nation, and our world by solving engineering challenges in our work and focusing on service to others. Guided by our core values, Merrick’s corporate responsibility program allows us to give back. Want to know more about our success? Here’s Merrick by the numbers. Merrick’s work at the Gorgas Institute set a benchmark for biocontainment and biosecurity in Panama. Merrick developed a complete master plan and schematic design, cost analysis, technical study, and a preliminary environmental impact study for a complex of sustainably designed, state-of-the-art laboratories on the new Gorgas Campus. The campus requires a flexible, modern design that is functional and visually distinctive, while minimizing the environmental impact on the Panama Canal basin. A greenspace connects laboratories, clinics, and employee spaces and reduces air conditioning and purification needs. We are always focused on the project mission, keeping quality and security in mind. Our team works with clients from public and private sectors. 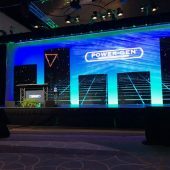 We bring unique expertise to help our clients find the right project solutions. We design and build safe, secure facilities to support science research and training operations. At Merrick, employee ownership is more than just a stock certificate. It lives and breathes in everything we do. We own our work. We own our careers. We own our company.